As the name suggests, RaceBets are a leading bookmaker when it comes to betting on horse racing and they will certainly appeal if you’re a fan of this sport. They have a generous welcome bonus for new customers and provide excellent coverage of horse racing all over the world including Best Odds Guaranteed for several countries. BetVictor have a generous welcome bonus available to new customers and we recommend that you take advantage of this offer when you open an online account with this leading bookmaker. You must enter the promotion code WELCOME on the sign-up page in order to qualify for your bonus cash. This offer is only available to new customers in the UK and Ireland, with the qualifying amount and bonus subject to 5x wagering at minimum odds of 1/2 (1.50) within 45 days of registering. RaceBets really go the extra mile when it comes to providing good value on horse racing and that extends to their Best Odds Guaranteed offer. Not only do they cover the UK and Ireland like other bookmakers but you can also enjoy the BOG promotion for UAE and South African racing too. It means that you can take an early price or board price about a horse that is racing in any of the above countries safe in the knowledge that you will get SP if it turns out the latter is bigger. This applies to any customer in the UK and Ireland and it’s a great way of always snapping up the value. There is also a promotion called Beaten by a Nose which applies to all horse races in the UK, Ireland and UAE. Simply bet on a horse and, if it’s beaten by a nose, then RaceBets will refund your losing stake. The maximum bonus you can get from this offer is £25 and you’ll have to wager this at least three times. There are stacks of other horse racing bonuses and that includes a 5% USA Bonus where RaceBets offer this through the night when it comes to select races from the other side of the Atlantic Ocean. 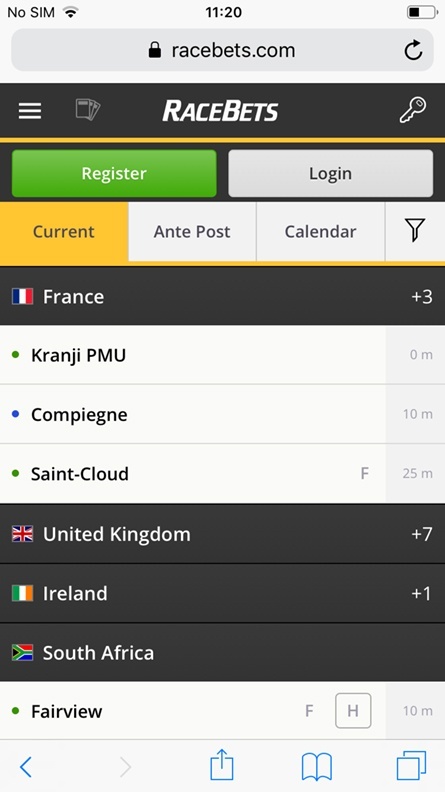 Every time you bet on a selected meeting, this bookie will give you 5% extra on top of your stake. In addition, RaceBets are also willing to offer a 10% winnings bonus on all Indian races, with customers then receiving an extra 10% every time they enjoy that winning feeling! The maximum bonus per race is £25 and the 10% bonus needs to be wagered at least five times before a withdrawal can be made. Customers actually based in India can also benefit from an extra 5% added to their account balance every time they make a deposit, with RaceBets looking to expand their customer base and become recognised as one of the leading horse racing operators on a global stage. RaceBets are among several bookmakers who have agreed deals with rights providers so that they can stream live horse racing on their website. Customers need to be logged in and have a funded account to enjoy choosing which race they want to watch from the choices available. The streaming is high quality and works equally well whether you are accessing RaceBets through desktop or mobile, although there is currently no app available. All races being streamed from the US or Canada have a special stream for each race. To watch any race live on RaceBets, simply visit the racecard in which you’re interested and then open the stream by clicking the link at the top of the racecard. It’s a great advantage of being a customer with this bookmaker and it’s great to be able to enjoy the action. 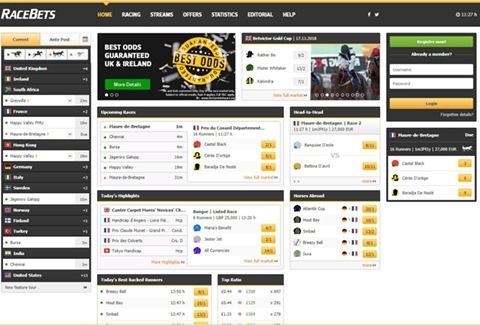 RaceBets customers can rely on this bookmaker to ensure their funds are protected when they make a deposit, with this operator providing a wide range of payment options that include debit and credit card through either Visa or MasterCard. There is also PayPal, Skrill, Neteller and Paysafecard, with RaceBets holding a UK gaming license which is issued by the Gambling Commission. It means you can be sure that you’re betting with a fair and transparent operator who now offer markets for horse racing in 40 different countries, something that means they overshadow every other operator in this regard. Those customers who have a funded account will automatically qualify for the Live Streams that are available at the RaceBets website. The streams are high quality and include audio commentary, with customers able to access racing from countries such as the US, Canada and Dubai. There is a schedule detailing the latest meetings on the site.